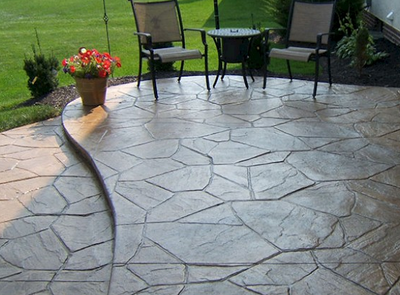 ​At Grand Rapids Stamped Concrete we know just how important your patio is. It’s a source of fun and togetherness, bringing family and friends together to eat, drink and socialize, while enjoying the sunshine or fresh air. It’s also a source of relaxation, allowing you to unwind and take in the sights and sounds of the beautiful outdoors. 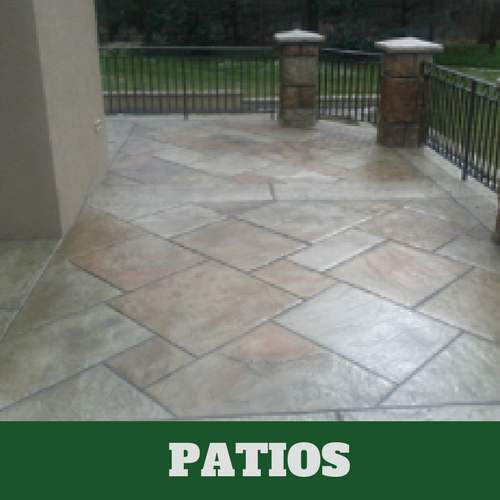 Since it gets used so much, it’s important to care for your patio like you would any other area of your home. 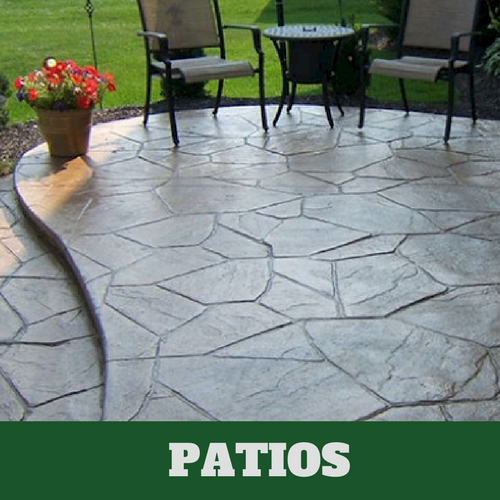 But it’s also important to choose the right patio in the first place. This will make keeping it look nice easier than ever before. 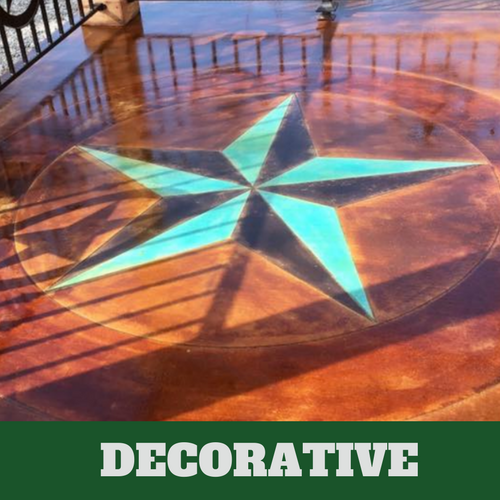 One of the biggest concerns with patios is finding something that looks great, but doesn’t require a lot of laborious upkeep, especially during high traffic seasons. You want something that holds up well in the face of heavy patio furniture, lots of foot traffic and various weather conditions such as rain, snow and sun. 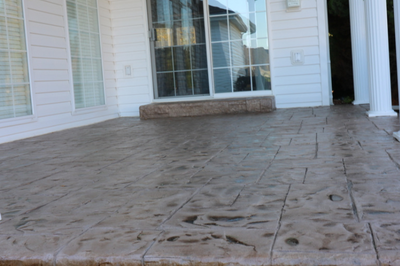 Stamped concrete can do just that, and it looks great while doing it. 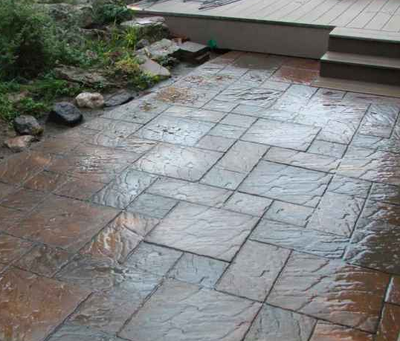 Of course, as with anything, there will still be minimal maintenance required if you want your patio to look nice for a long, long time, but overall stamped concrete is perfect for those who want the look without the work. 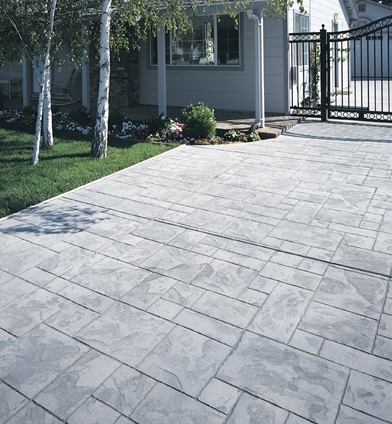 The most popular reason for choosing a stamped concrete patio is versatility. 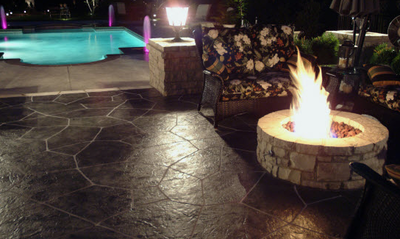 You want to make your patio your own, by customizing it to fit with your house or your landscaping. 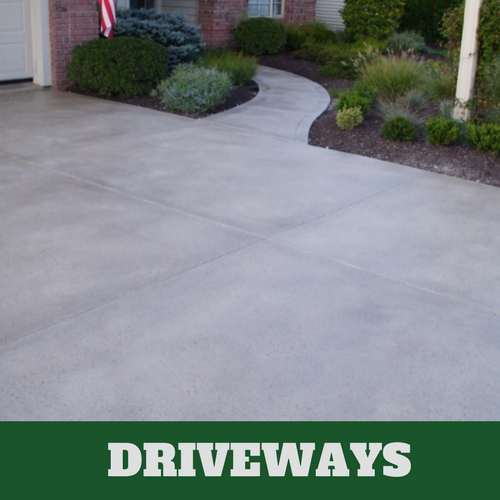 It might seem like concrete would have less options in terms of design, but its actually one of the most versatile materials around. 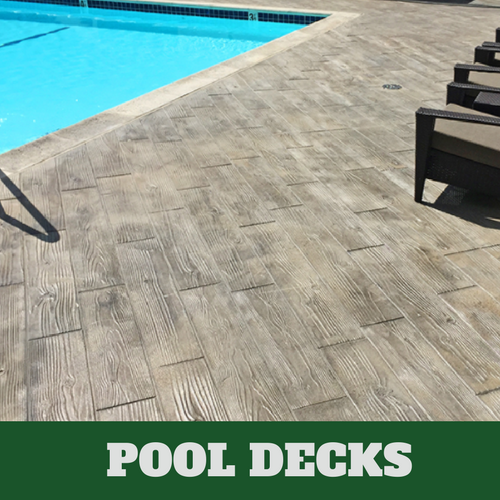 Stamped concrete is created using a pattern or design in your concrete and the options are endless. Whatever design you dream up, we can stamp it for you. 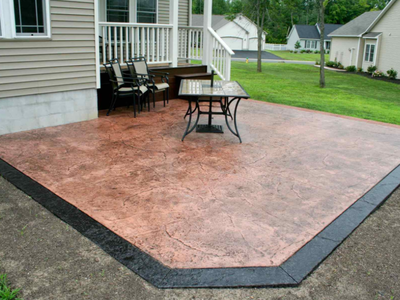 Stamped concrete can also be stained so that you can play around with color and texture. This makes decorating the area that much more fun. 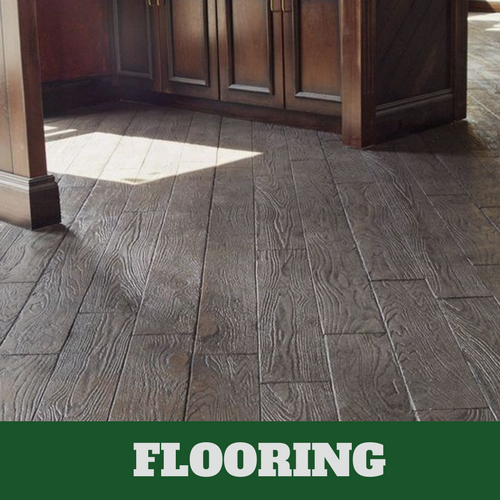 With something as versatile and low maintenance as stamped concrete, you’d think that the cost would be unreasonably high. 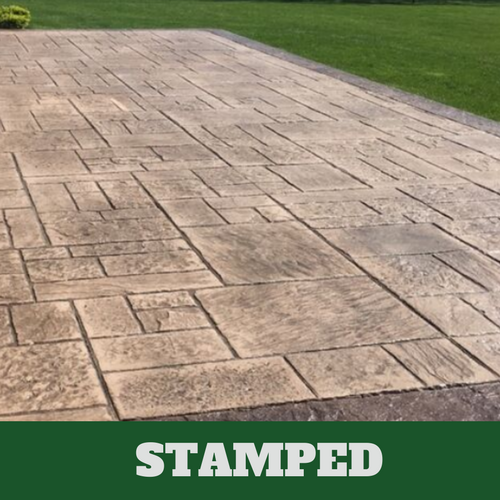 In reality, stamped concrete is actually extremely cost-effective. It might not be the cheapest option on the market, but it’s one of the most durable and it takes the least time to install. This means that you can cut costs on things like labor expenses, and you won’t have to worry about replacing it or repairing it every couple of years. 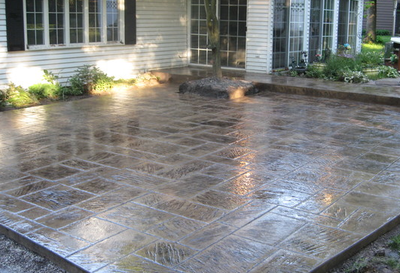 Stamped concrete is the option that proves to be most cost-effective long term. 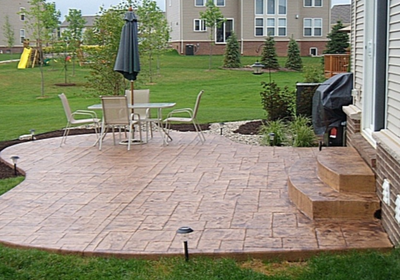 If you are ready to have your dream patio installed, look no further than Grand Rapids Stamped Concrete. Our team is fast and efficient, but also extremely detail-oriented. This means that we will finish the job in record time, while also carrying out every last design detail that you have asked for. No one wants to look out their window on a nice summer day and see machinery and a crew of contractors. 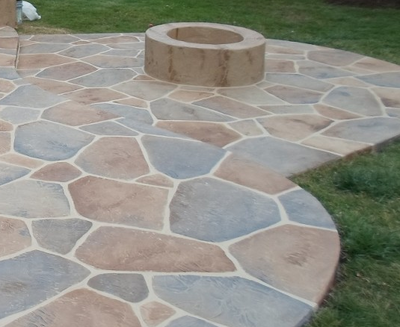 We promise to get the job done right, as quickly as possible so that you can start enjoying your beautiful new yard right away.